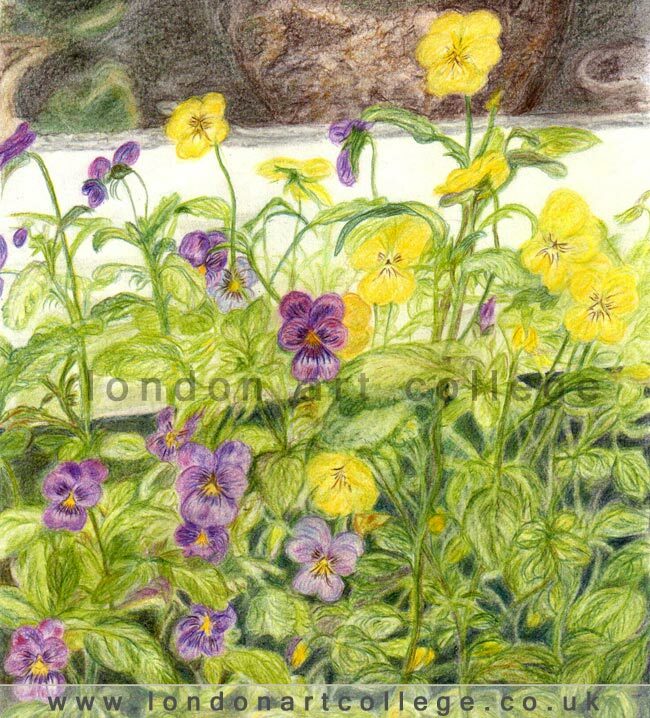 While looking at some recent students work this caught my eye, again another coloured pencil drawing, this time of delicate flowers in a tub with a wall behind. It really stood out for me and I can feel a sense of warmth, sunshine and summer when viewing this piece. Excellent work.